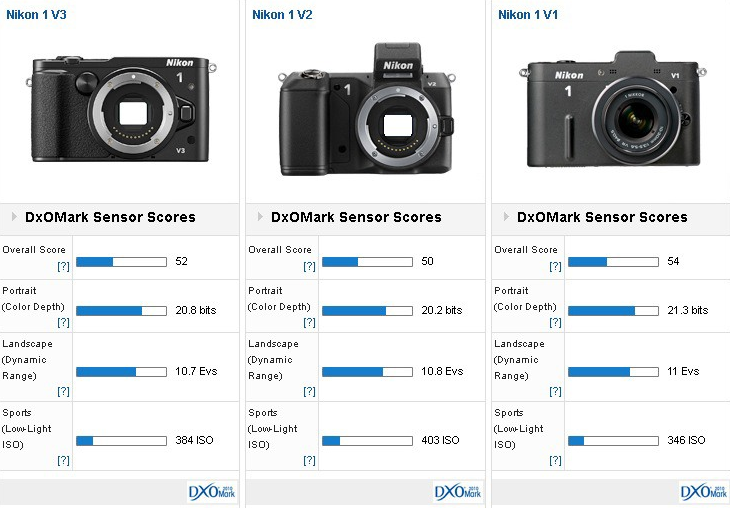 DxO Mark has just posted their results after testing the yet to be released Nikon 1 V3 camera. Just like the V2, the V3 is inferior to the V1 in regards to overall image quality. The new 18 Megapixel sensor, provided presumably by Aptina, is nowhere near as good as the 20MP BSI 1” sensor from Sony, found in the RX100 MkII and RX10 cameras. The V3 doesn’t even fair favourably when compared to the Coolpix P7800 compact camera. It is only better in regards to noise performance, but has inferior color depth and dynamic range. 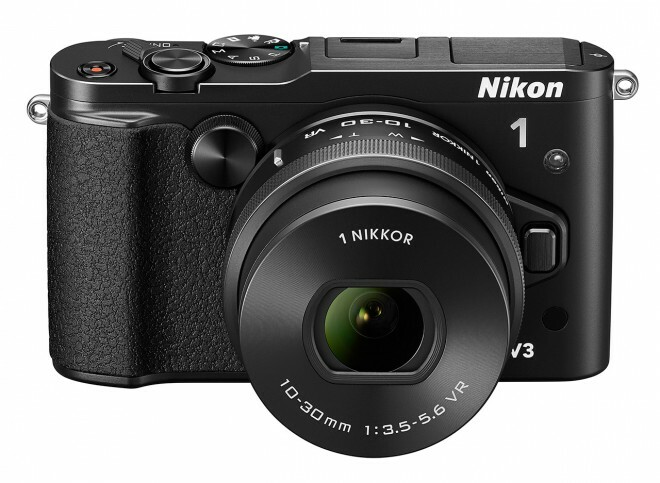 Yesterday TomTom has released the first hands-on video with the Nikon 1 V3 on YouTube. Improvements that caught my attention immediately are the much faster power-on time and image scrolling compared to my V1. While you have to wait a bit for the V1 to power on (or wake up from stand-by), the V3 seems to be instantaneous in this regard. Scrolling through images also seems to be much faster and smoother with the V3. The AF doesn’t seem much faster under lowish lighting conditions compared to my V1. This could be because of the 6.7-13mm UWA lens which was mounted on the V3 during the hands-on and which I don’t have. The swivel touchscreen can be tilted up to 90 degrees up or downwards. Many other swivel screens can also be tilted 90 degrees upwards, but are limited to about 45 degrees downwards. Nikon 1 V3 images and video specs leaked! The Nikon V3 will be the first mirrorless camera to feature 120fps HD slow-mo at 1280 x 720 resolution. Also available are 400fps and 1200fps at lower resolutions. Nikon have added an electronic stabilisation mode (called EVR) and 1080/60p to round out the spec. 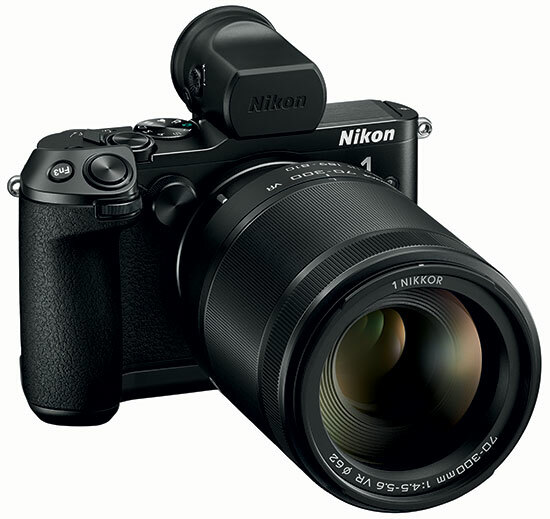 This is what the Nikon 1 V3 looks like. 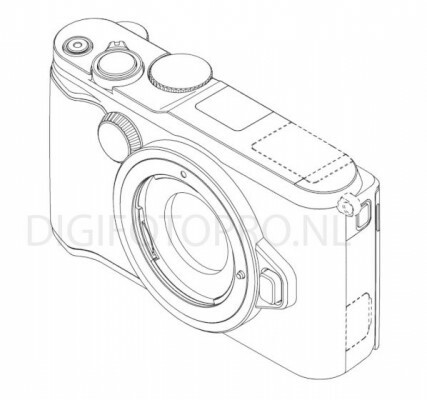 Read the postNikon 1 V3 images and video specs leaked! An hour ago DPReview forums user Vlasty has posted Nikon’s booth map for the CP+ show, taking place from February 13th to 16th. The interesting thing to note is that the Nikon 1 booth has been renamed to Nikon 1 AW1 booth. It looks as if Nikon has no plans to announce/display the V3, J4 or any new non-AW lens during CP+. Is this the J4 or the V3? 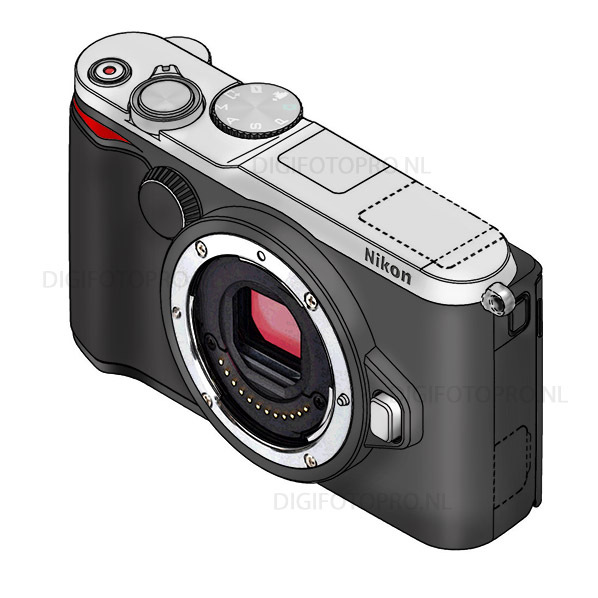 Yesterday the Dutch website Digitfoto posted sketches of a camera design Nikon has patented a while back. By the looks of it, it seems to be either a beefed up J-series camera or a cut down V-series camera. Read the postIs this the J4 or the V3? Hefty Nikon V2 price reduction: is Nikon clearing inventory in preparation for the V3? 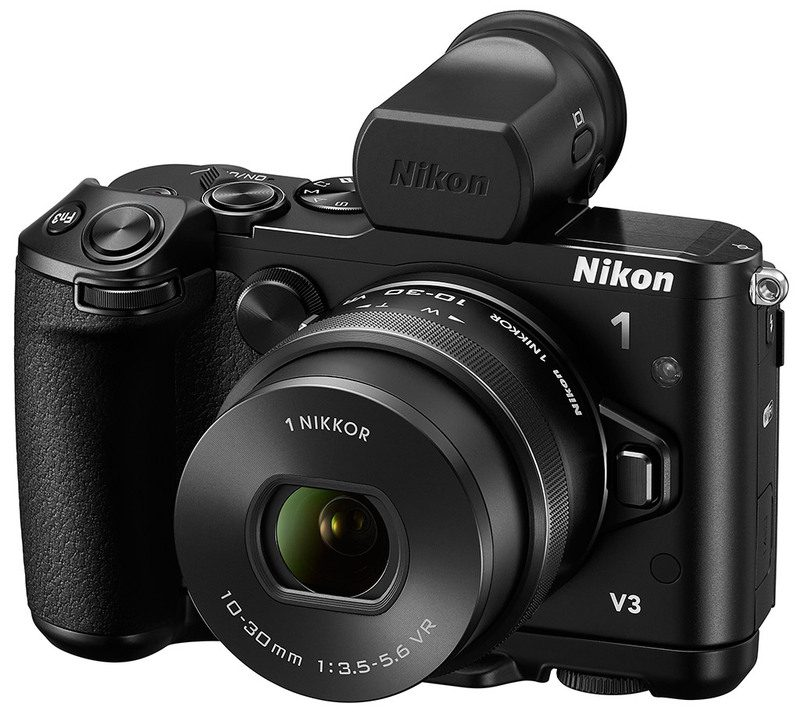 Read the postHefty Nikon V2 price reduction: is Nikon clearing inventory in preparation for the V3?